Could Griffin Hall be any more perfect? Griffin gave up his music career to be a father; and even through all the ups and downs and craziness, the one person that commands all of his attention and dedication is his lovely daughter May. Enter Beth Beverly, she likes Griffin, Griffin likes Beth. 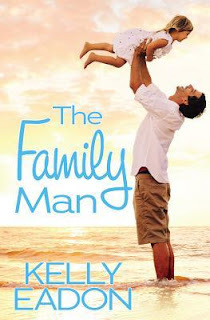 As Beth and Griffin navigate a relationship, Beth comes to find what she really wants to do in life and Griffin learns that with the help of friends and family, he can be a great father, a musician and a good boyfriend. The story was sweet, the characters were likable and they faced realistic problems of what it means to date a single parent.